Watch out ! 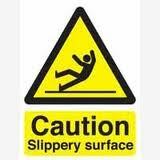 Danger of slippery (and falling)! Connection, as we already know, creates value and enables collaboration, precondition for value creation. Collaboration creates power and reduces cost. The majority of the people would certainly agree with me at this point. It’s getting more difficult by acknowledging that lots of us are convinced that competition also creates power. What’s the problem then? Competition disrupts active connections and basically blocks cooperation and therefore blocks the creation of earning power. How does this fit with the fact that most of us link competition with efficient production? Or is this just ideology? Connection has also a sort of dark side. Being too connected may result in clientelism, tribe@work and nepotism, people passing the ball to each other within existing personal networks, excluding better and more qualified people. And this not only happens in the backroom. Out of sight, out of mind is a very strong social mechanism. An when too tied personal connections things become greasy and don’t feel right any more. This kind of behavior is usually not formally forbidden by any regulations but an accompanying uncomfortable feeling is like a bell within ringing: ” It’s not right and doesn’t feel pure in mind”. Just imagine the following situation: if you are CEO of a company which is regularly hiring project managers through a consultancy firm where a political friend of you is the big boss, then it could happen that sometimes you would be less critical towards the services provided by this company. Or you might be disempowered to be critical just because you know the world is small, and you can come across the other person someday again in another battle field where you need him. Or maybe, you even expect him to deliver you a return service sometime someday. Another friend who owns a news site could become less objective when submitting the news about you, your club or your company. Recognizable? So, personal relations become stacked up then. The old-boys network never dies. Is that the right thing to do? Ethical? Responsible? Good for the company? Pure in mind? Of course there are different levels in competition as well as in connections. Both extremes are obviously not good. Clientelism and nepotism do challenge our critical or objective way of decision making, thinking and acting. On the other hand, the piranha economy, intense competition, destroys compassion. They both do not result in a desirable outcome. We can’t enforce the perfect situation by rules or governance. On the other hand, it doesn’t make sense to get angry or cynical about those facts. There is more than enough cynism in the world. What I consider important also in these kind of situations is to stay true to yourself whatever happens. Ask yourself questions. Double-check the integrity of your own intentions. Is my decision aligned with my moral compass? Are my motives pure in mind? How one can act and decide in situations when friends are involved? Is this the right thing to do under these circumstances? Do I have any ulterior motives? The best way to check the right answer for me is the ultimate grandmother-and child-test. Can I explain what I do to my grandmother as well as to my children? Grandmother symbolizes in my eyes wisdom and purity. Children stand for the future. For me this is the best way to stay on track and to be able to look every day in my own eyes. For some people this is certainly a huge challenge in the middle of all the minefields and slobbery roads in the business life and politics. Watch out! Slibbery ! Don’t go there! It hurts! « Pass auf! Glatteisgefahr !